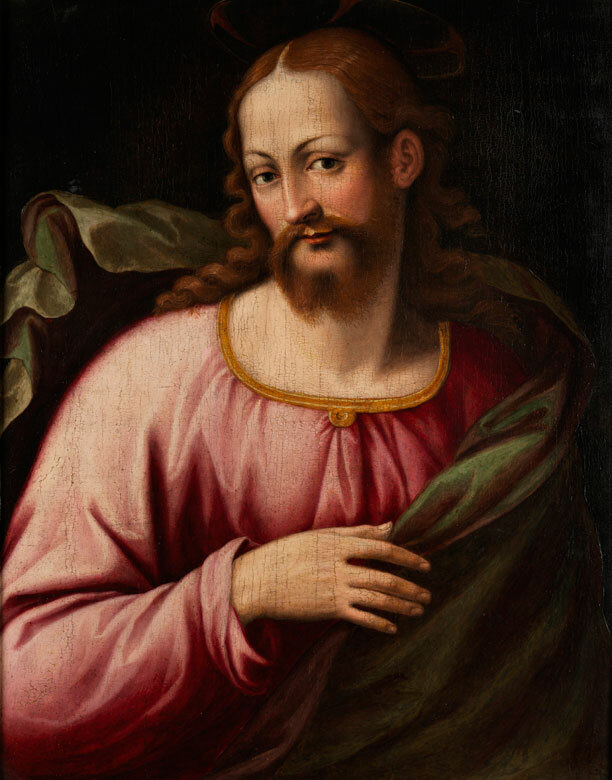 Lot 656 / Michele Tosini, genannt Michele di Ridolfo del Ghirlandaio , 1503 – 1577, zug. Tosini studierte zunächst bei Lorenzi di Credi (1459-1537), zog dann die Werkstatt Ridolfo Ghirlandaios (1483-1561) ein und übernahm später dessen Name. Neben allegorischen und religösen Themen widmete er sich auch dem Portrait. 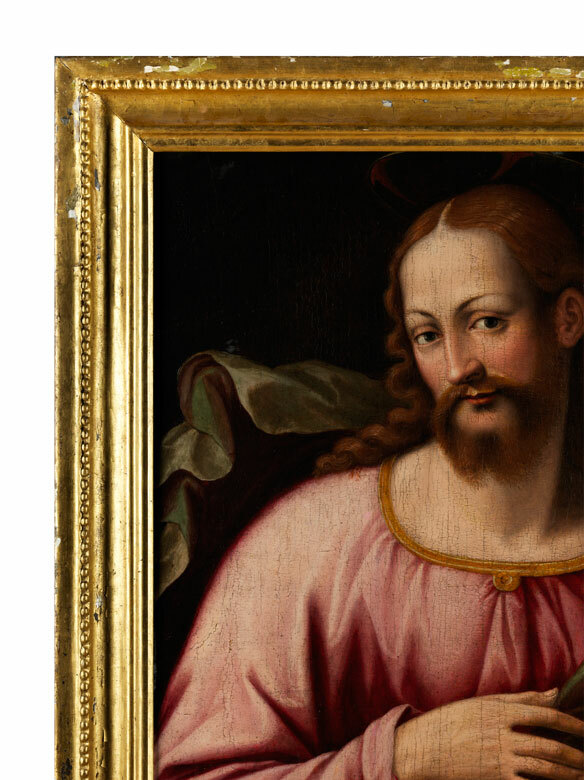 Auch der Einfluss des Malers Giorgio Vasari (1511-1574) ist in seinem Werk zu erkennen, da der Künstler in dessen Werkstatt mitgearbeitet hat. 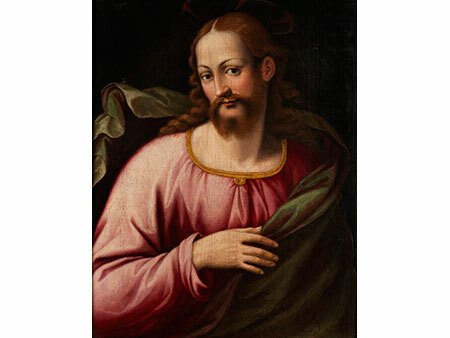 also known as "Michele di Ridolfo del Ghirlandaio"
Tosini initially studied with Lorenzi di Credi (1459 - 1537) and then moved to the workshop of Ridolfo Ghirlandaio (1483-1561) and later also assumed his surname. 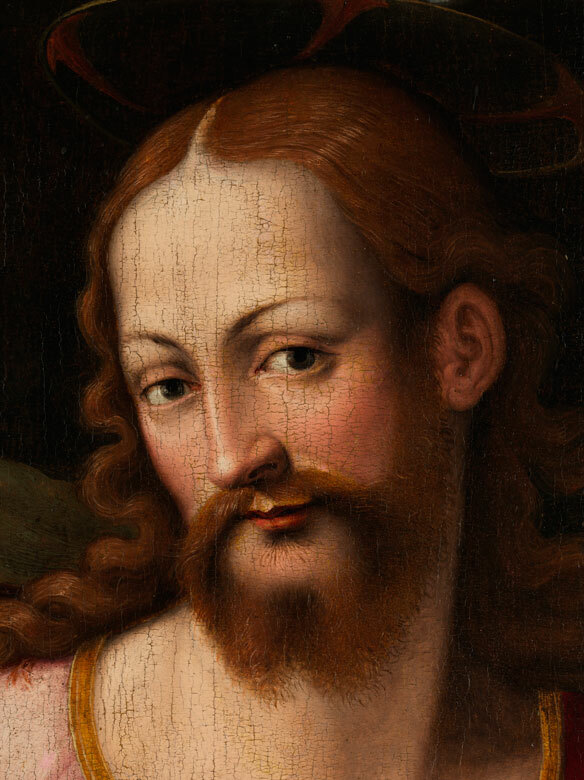 Apart from allegorical and religious subjects, he also painted portraits. Influences by the painter Giorgio Vasari (1511 - 1574) are also evident which shows that Tosini also worked in his workshop. 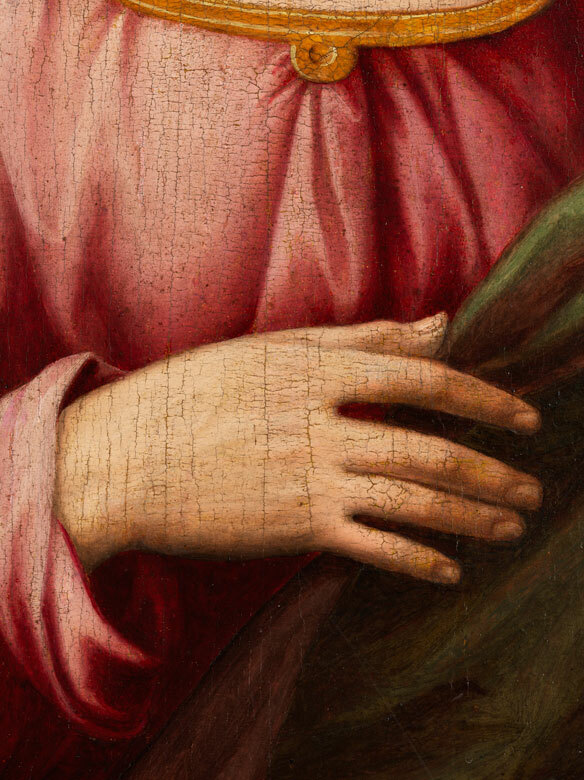 Michelangelo's (1475 - 1564) strong influence on Tosini's work is palpable as expressed in the large-format figure painted up-close to the viewer in the present painting. 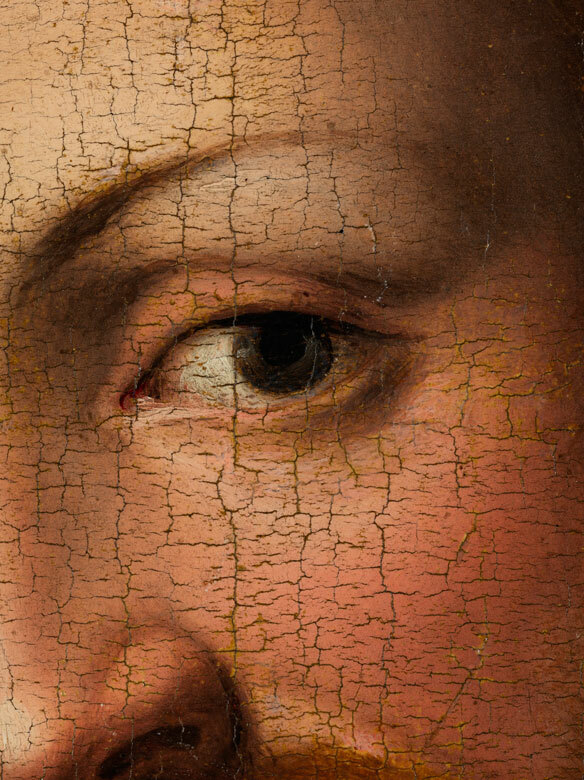 Painting style and colouration are in line with the characteristics of High Renaissance art and each detail of the depiction is simplified in favour of the great overall effect.